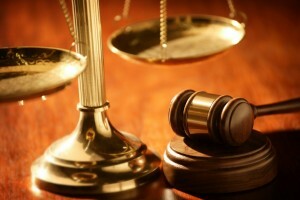 You have already filed a lawsuit against a buyer or client to recover a debt. The lawsuit is contested – an answer by the buyer or client has been lodged with the Court. Your lawyer tells you he requires a witness to attend either or both a deposition or trial! What exactly is a qualified witness? In the American civil process a qualified witness must be a person with firsthand knowledge of the transactions at issue or a person who is a custodian of the records – someone with day-to-day charge of the books and records of the company. Let’s explore the reasons witnesses are needed. To narrow down the issues given to the Court and to dispel or thwart arguments made by the other side. This is not a system where a Judge will drive the questions and answers (as is done in Spanish Civil Law nations). Before any lawsuit proceeds to a Trial, it is typical to see two processes take place – Discovery and also Court Ordered Non-binding Mediation/Arbitration. That set of questions must be answered truthfully and completely. If it is the plaintiff who is uncooperative, the Court may dismiss the lawsuit and order the plaintiff to pay the defendant’s Court disbursements to date plus the defendant’s lawyer expenses. Serve the other side with an order to produce all documents they will use at trial. Serve the other side with an order for their witness to appear for a Deposition – and that deposition will be accomplished in the defendant’s locality. While there are some nations which permit Depositions to be taken at their country’s consulate abroad, it is not typical to see that tactic permitted in the USA. Courts in the USA take the view that if you submit to a local jurisdiction to bring a lawsuit in that locality, you must appear in that locality when required. Under this scenario, only a qualified witness can “identify” documents for the Court to consider as evidence or to present background facts based upon personal knowledge either at a Deposition or at a Trial. Hearsay testimony cannot be used under this system. For example, a witness cannot say, “Mr. Jones told me that he saw something wrong with the goods.” Only Mr. Jones can give that testimony to the Court. However, that also means your lawyer cannot say “Mr. Jones told me he saw something wrong with the goods.” Likewise, your lawyer cannot tell the court “This document is my client’s invoice.” That too would be considered hearsay testimony. Lawyer: Mr. Jones, can you please take a look at this document and identify it for the court? Mr. Jones: This is the contract signed by both my company and the debtor. Lawyer: [handing the document to the Court Clerk, with a copy to the debtor’s lawyer] I have marked this document as “Exhibit A” and would like the court to admit the document into evidence. The above scene is a simplified version and it would typically involve multiple questions and answers between the lawyer and witness and may also involve cross-examination of the witness by the debtor’s lawyer. There would also be questions concerning your company’s methods of operation and policies. Your witness may also be needed to state that these methods and policies are consistent with normal practices within the industry. Your lawyer may also want to request competent corroborating testimony from industry experts. That testimony is also subject to cross-examination. With Discovery concluded, both sides may be required to participate in non-binding mediation and arbitration. This is often done as a means for Courts to lessen the burden of heavy Trial Calendars. If cases can be resolved in this step, it reduces the work and expenses for the Court. Mediation: The Court will appoint a neutral referee who will call the parties and their lawyers to a meeting and they will attempt to work out some form of settlement to the case. Often, clients can have their lawyers attend, with the client remaining on “telephone standby” and if any settlement offer is presented, the client must be ready to approve/disapprove the offer immediately by telephone. Otherwise, clients are certainly encouraged to participate by sending a person with sufficient authority for settlements to the mediation. Likewise, any person on telephone standby must also have unequivocal authority to approve or disapprove settlement offers. Non-binding Arbitration: If the mediation effort fails to produce a settlement, cases may then be ordered to proceed with Arbitration. In this situation, the Court will appoint an individual (typically are retired Judge or well-respected lawyer) to hear the case arguments by both sides. This is somewhat like an informal trial, and typically held in a conference room rather than the formal setting of a Courtroom. Many litigants will accept the Award given by such an arbitrator because they can easily see how each side’s evidence is viewed by a neutral person. However, the parties are not required to accept the Award as a final decision. Indeed, much to the frustration of a prevailing litigant, the other party can request a new and formal Trial in the Courtroom. Unhappily, many view this as an extra costly and time-consuming step. Arbitrations do indeed require the presence of a qualified witness and the party who then moves for the “new trial” is then required to pay additional costs. In the American system of law, the Court would have to accept the defendant’s statements as truthful fact unless there is a clear and compelling document to state that “baby blue 00146” would be a suitable substitute color or unless the plaintiff produces a qualified witness to rebut the testimony given by the defendant. Simply put, if you are not there in the Courtroom to dispel any such fabricated nonsense, the Court will be compelled to accept that nonsense as “truth”. Again, your lawyer can’t merely call the debtor a liar without having the clear documentary evidence to prove such a charge or unless you are there to present direct testimony to give the Court the accurate facts. Of equal importance to everything said above is the concept of “how believable is the witness?” Credibility is the essential quality of what your witness must give to the arbitrator or Court to establish your case. Important – Your attorney cannot be your witness. If your witness doesn’t sound “believable”, your case becomes severely damaged. If your witness does not use English with complete fluency an interpreter should be requested. Testimony through a court-qualified interpreter is given equal weight to English speakers in the USA Court system. It is far better to use an interpreter than to allow an inaccurate interpretation of language to reach the court as evidence. Your witness should get to the courthouse early, together with any personal notes, to review his testimony with your attorney prior to the scheduled start time for the Trial. Dress properly in professional business clothing and demonstrate respect for the court at all times. Be a good listener! They need to listen carefully to the question asked. If you are not sure of the meaning of the question, they should not provide any answer. They should ask for clarification of the meaning of the question and keep asking until you are sufficiently clear about its meaning. Never answer a question with something that is a guess from them. Only answer questions with certitude and true conviction. While they must think carefully about their answer before they offer it to the Court or Arbitrator, avoid giving a picture of being hesitant or trying to avoid a question. Those traits may cast doubt upon your credibility. Worse, it is most difficult to correct erroneous testimony. Once they speak, the effect of your words is already in ears of the Court. Even if you can offer a correction, you will begin to sound less believable. If they have answered a question with solid conviction, they need to stick to that answer and do not allow the debtor’s lawyer to get them to change their testimony. Changing their testimony makes them look unbelievable. Your lawyer will also want to have the opportunity to provide guidance to your witness about providing testimony and will typically want to meet your witness the business day before the Trial or arbitration. That time together will be well spent in making your witness much more comfortable with the task of providing testimony. Therefore, the importance of a witness in a contested lawsuit cannot be overstated. A credible and qualified witness is vital to the success of any contested litigation effort.